“I Love Lucy,” running originally from 1957 to 1960, exists in the collective memory of multiple generations of Americans as one of our most iconic television programs. In fact, in 2012 (52 years after its end-date) it was voted as the “Best TV Show of All Time” in a survey conducted by ABC News and People magazine. But Lucy’s zany antics would not have been nearly as entertaining without her foil character, Ricky Ricardo. Ricky, Lucy’s Cuban singer/bandleader husband, constantly loses his patience at his wife’s ceaseless attempts to get into showbiz and exorbitant spending on clothes or furniture. Lucy and Ricky as a married couple share everything, but the gift tax does not treat them the same way as most other married couples because Ricky is a U.S. resident, but a Cuban citizen. The IRS has a resounding reputation as the tax collecting body to be feared in the United States. It is the North Carolina Department of Revenue (“NCDOR”), however, that should properly be placed on the section of the map marked “Here Be Dragons.” One of the NCDOR’s most effective powers is the Attachment and Garnishment notice. And the NCDOR is certainly not afraid to use it. Upon failure to pay the NCDOR on the tax due date, a taxpayer is first sent a Notice of Collection requesting the unpaid amount be paid. The notice ominously mentions “no further notice will be issued before legal action may begin” and makes reference to the NCDOR’s ability to garnish wages and withdraw funds from the taxpayer’s bank account, an action that “may cause the bank to freeze funds in the account.” If the taxpayer does not pay in full or enter into an installment agreement with the NCDOR within a few months after receiving the notice, the NCDOR will proceed as indicated. This is the second of two installments of this article. Read the first installment here. I. Charitable Deduction Fails Where Tax Basis Not Shown on Form 8283. Belair Woods, LLC v. Comm., TC Memo 2018-159, involved a taxpayer who tried to claim a conservation easement deduction under Section 170. Originally, Belair acquired an interest in certain property with a carryover tax basis of approximately $2,605 per acre. A little more than a year later, Belair granted a conservation easement to Georgia Land Trust. On Belair’s tax return, it claimed a charitable contribution deduction of $33,707 per acre. The 2017 Tax Act includes a new deduction for qualifying pass-through entities codified as Section 199A. Taxpayers other than corporations operating a business are generally allowed the deduction, subject to complex limitations, which require thoughtful planning to ensure taxpayers fully benefit. Certain classes of businesses deemed a “specified service trade or business” are subject to severe restrictions. However, for taxpayers not operating a specified service trade or business, use of the magic number equation explained below provides a simple and effective approach to maximize the deduction. The IRS recently issued Notice 2019-9 to provide interim guidance on the excise tax on certain executive compensation paid by applicable tax-exempt organizations (“ATEOs”). Under Section 4960 of the new tax law, an ATEO is generally subject to a 21% tax for compensation paid to a covered employee in excess of $1 million per year. Covered employees are the five highest compensated employees of the organization for the year plus anyone who is a covered employee of the organization in any year after 2016. The tax also applies to excess parachute payments, which are severance-type compensation equal to more than three times the covered employee’s average annual compensation over a specified look-back. The tax generally applies to deferred compensation when it vests, whether or not paid. The tax does not apply to compensation to licensed medical professionals for medical services. The excise tax produces surprising results in some situations, as illustrated in the examples below. In each case assume a university pays annual compensation to its president, football coach, or prominent research professor of $5 million. This is the first of two installments of this article. Find the second installment here. I. Audit Statistics: What Are Your Chances of Being Audited? A. Audit Rates for Individuals. Only 0.6% of individual income tax returns filed in CY 2016 were audited, down from 0.7% of returns in 2015. Of those audited returns, only 29% of the audits were conducted by revenue agents. The rest were correspondence audits. Not surprisingly, the audit rates for Schedule Cs were higher than for other individual returns. Schedule Cs filed in CY 2016 showing receipts of $100,000–$200,000 had a 2.1% audit rate, down from 2.2% in FY 2016. Schedule C returns filed in CY 2016 showing income over $200,000 had a 1.9% audit rate, the same as for FY 2016. B. Audit Rates for Partnerships and S Corporations. For partnerships, the audit rate for returns filed in CY 2016 was 0.4%, no change from FY 2015. For S Corporations, the audit rate for returns filed in CY 2016 was 0.3%, no change from FY 2015. C. Audit Rates for C Corporations. C Corporation returns filed in CY 2016 had an audit rate of 1.0%. The IRS received 62,000 offers in compromise but accepted only 25,000 of them. The IRS initiated 3,019 criminal investigations for fiscal year 2017, down from 3,395 in 2016. For 2017, the IRS referred 2,251 cases for criminal prosecutions, 795 for legal source crimes, 875 for illegal source financial crimes, and 581 for narcotics-related financial crimes, and obtained 2,300 convictions. As to the convicted taxpayers, 2,043 were incarcerated. II. Termination Payments to the Owner of an Insurance Agency Generated Ordinary Income Rather than Capital Gain. In Pexa v. U.S., 121 AFTR 2d. 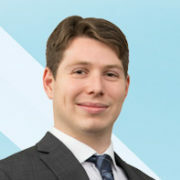 2018 – 1686 (DC CA), Mr. Pexa worked as an insurance agent for Farmers Insurance Group. In 1998 Mr. Pexa was promoted to district manager. As district manager, he was not an insurance agent. Mr. Pexa recruited, trained, and supervised insurance agents but was forbidden from selling insurance himself. Over the years Mr. Pexa received compensation from Farmers based on commissions on policies sold by the insurance agents who worked under him. Farmers ultimately terminated its relationship with Mr. Pexa. Pursuant to the district managers appointment agreement, Farmers paid Mr. Pexa the value of the contract. This contract value was based on the number of years Mr. Pexa worked as a district manager and the commissions he received during the six months before his termination. Farmers reported the contract value payments of almost $1 million on Form 1099-MISC. Mr. Pexa, however, treated the payments as capital gains. The court determined for Mr. Pexa to be entitled to capital gain treatment, he had to have a capital asset to sell back to Farmers. Mr. Pexa essentially argued he was transferring goodwill relating to the operating business he built over 11 years. The court noted Mr. Pexa’s contract could be terminated by Farmers at any time. The contract prohibited Mr. Pexa from selling insurance. Accordingly, Mr. Pexa did not own any assets related to his business and thus could not transfer goodwill to the Farmer’s assignee. The only interest Mr. Pexa retained was a contractual right to perform services for Farmers as long as the agreement remained in place. A contract right to perform services, however, is not a capital asset. Therefore, Mr. Pexa was required to recognize ordinary income on all the contract value payments. The court upheld the assessment of the 20% accuracy related penalty under 6662(a). Although Mr. Pexa consulted with an accountant to help prepare his tax returns, he did not provide the accountant with the Form 1099-MISC or the Farmers agreement. Therefore, Mr. Pexa could not reasonably rely on the accountant’s advice. III. Lawyer Unable to Prove Regular Conduct of Real Estate Activities. In Levitz v. Commissioner, USTC 2018-10, the court held Mr. Levitz could not prove he was in the trade or business of real property development and sales. Thus, his losses on certain investment properties were limited to the $3,000 annual capital loss limit. Mr. Levitz could not prove he engaged in real estate activities with continuity and regularity. He was a practicing lawyer while he held the properties for sale and was unable to prove how many hours he devoted to his real estate activities versus his law practice. In addition, Mr. Levitz failed to keep books and records in a business-like manner. He also failed to file a Schedule C reporting his real estate activities as a trade or business. He did not hire employees for his real estate activities nor did he maintain an office. The court concluded Mr. Levitz only engaged in sporadic, and not regular, sales of property over several years. IV. Changed Circumstances Allows Developer to Claim Capital Gain Treatment. In Sugar Land Ranch Development, LLC v. Commissioner, TC Memo 2018-21, Sugar Land Ranch Development Company (“SLRD”) was formed in 1998 to acquire contiguous tracts of land in Sugar Land, Texas. SLRD intended to develop the tracts into single-family residential lots and commercial tracts. SLRD bought the first tract of 883 acres in March 1998 and purchased an additional 59 acres in November 1998. The property had previously been an oil well field. From 1998 until 2008, SLRD capped oil wells, removed oil lines, and did some environmental cleanup to prepare the property for development. SLRD sold a small portion of the property between 1998 and 2008. In 2011 and 2012, SLRD sold approximately 580 acres to a major homebuilder. Late in 2008, the managers of SLRD concluded it would not be able to develop, subdivide, and sell residential lots because of the subprime mortgage crisis and the difficulty of obtaining financing for housing projects due to the financial crisis. The managers of SLRD signed a unanimous consent dated December 16, 2008, in which they acknowledged SLRD would hold the property as an investment until the market recovered. Between 2008 and 2012, SLRD undertook no development activities. SLRD sold one parcel in 2011 and the final two parcels in 2012. The issue was whether SLRD recognized capital gain on the 2012 sales. The court stated there was no question SLRD originally intended to be in the business of selling residential and commercial lots to customers. However, that intent changed in 2008 when SLRD ceased holding its property primarily for sales to customers and instead began to hold it only for investment purposes. The court noted the earlier decision of Suburban Realty in which the Fifth Circuit Court of Appeals held a taxpayer is “entitled to show that its primary purpose changed to, or back to, for investment.” Suburban Realty, 615 F2d at 184. By virtue of its unanimous consent in December 2008, SRLD established its change in circumstance and that its primary purpose for holding the property had changed as well. The IRS also argued the court should impute to SLRD certain development activities that were performed by related parties. The court, however, noted past cases had rejected the argument that development efforts by a related party should be imputed to the taxpayer. See Bramlett v. Commissioner, 960 F2d at 533–534, and Phelan v. Commissioner, TC memo 2004-2006. V. Expansive Ranching Activity Found to be for Profit and not a Hobby. In Welch v. Commissioner, TC Memo 2017-229, the Tax Court held Mr. Welch engaged in ranching activities with a for profit motive and not as a hobby. Although Mr. Welch did not have a written business plan, there were other factors indicating the activity was not a hobby. For example, Mr. Welch kept detailed books and records, operated the ranching activity through a separate bank account, routinely hired experts to assist with the ranching operations, and often made alterations to his operations to improve changes of profitability. VI. Rancher not Allowed to Deduct his Hobby Loss. In David Williams v. Commissioner, TC Memo 2018-48, Mr. Williams grew up on a family ranch in Texas. He worked with his father on the farm raising hogs and cattle. Mr. Williams was never involved in the financial aspects of the family ranch. Mr. Williams later became a chiropractor. 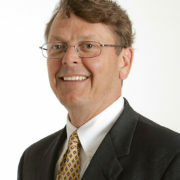 After closing his chiropractic practice, Mr. Williams researched and wrote on alternative health remedies and published a newspaper called “Alternatives.” From 2003 to 2014, Mr. Williams operated his research and publishing business through a single member LLC. From 2003 to 2014, Mr. Williams earned over $3 million in profit operating his publishing business. Mr. Williams also had a firearm business. Over a twelve-year period, the firearm business showed a net loss of $2,300. In addition, Mr. Williams operated a ranch with over a thousand acres. From 2000 to 2015, Mr. Williams lost almost $1.7 million in his ranch operations and never earned a profit in any year. The Tax Court agreed with the IRS that, even though Mr. Williams had grown up on a farm, his ranch operations constituted a hobby. Although Mr. Williams kept track of income and expenses, there was no evidence that Mr. Williams ever changed operations or business tactics to stem losses or improve profitability. Also, Mr. Williams had no formal training in farming and never consulted experts on the operation of this ranch. Although Mr. Williams hired a bookkeeper to keep track of farm expenses and income, he never used those records to evaluate the performance of his ranching activities. The court noted although Mr. Williams had been successful in running his health and wellness business, his work as a researcher and writer was not sufficiently similar to ranching to indicate he could do so successfully. The only factor in the Section 183 nine-factor test Mr. Williams met was his having no element of personal pleasure or recreation in ranching. The court also upheld a Section 6662(a) accuracy related penalty. VII. No Deduction for Boat Rental Expenses where the Boat was not Rented Out. In De Sylva v. Commissioner, TC Memo 2018-165, Mr. De Sylva purchased a boat in 2004 with the intent to rent it to supplement his income. When Mr. De Sylva purchased the boat, it was in no condition to be rented and was in dire need of repair. From 2004 to 2012, Mr. De Sylva spent considerable time getting the boat in shape to be rented. However, he began having financial difficulties and could not afford to have the necessary repairs completed. During 2012, Mr. Sylva incurred significant expenses for repairs, maintenance, and boat slip fees. However, he never rented the boat to anyone. The Tax Court agreed with the IRS that the expenses related to the boat were not deductible because Mr. De Sylva never rented the boat out and never ever marketed the boat as being available for rent. Therefore, there was no trade or business related to a boat rental business. Instead, the expenses had to be capitalized under Section 195 since they were start-up expenses that pre-dated the start of an active trade or business. Keith A. 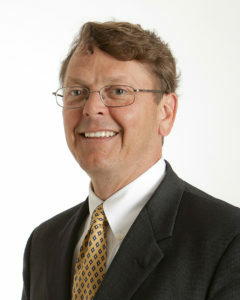 Wood is an attorney with Carruthers & Roth, P.A. in Greensboro. On June 8, the North Carolina Supreme Court affirmed the 2016 decision of the North Carolina Court of Appeals in Kimberly Rice Kaestner Family Trust v. North Carolina Department of Revenue holding that N.C.G.S. § 105-160.2 is unconstitutional under the due process clauses of both the U.S. Constitution and the North Carolina Constitution where taxation of the trust is based solely on the beneficiary residing in North Carolina. The Court of Appeals had in turn affirmed the 2015 decision of the North Carolina Business Court, which ruled on the same grounds. On October 19 the IRS issued proposed regulations and a revenue ruling about opportunity zones, which are an important tax incentive program in the major tax legislation enacted late last year. Although the guidance addresses many important issues, the IRS intends to issue further guidance on additional issues. The opportunity zone program encourages investments in economically distressed qualified opportunity zones by allowing taxpayers to defer, and in some cases reduce or eliminate, tax on capital gains when they reinvest their gains within 180 days in qualified opportunity funds (“QOFs”). Opportunity zones are receiving a great deal of attention because of significant tax advantages. When Are Meal Expenses Nondeductible Entertainment? The IRS recently issued Notice 2018-76 to provide transitional guidance on the deductibility of certain business meal expenses. Taxpayers may rely on the Notice until regulations are issued. 1. Interim guidance. Under the Notice, taxpayers may deduct 50% of an otherwise allowable business meal expense if (a) the expense is ordinary and necessary and incurred in carrying on a trade or business, (b) the expense is not lavish or extravagant, (c) the taxpayer, or an employee of the taxpayer, is present at the furnishing of the food or beverages, (d) the food and beverages are provided to a current or potential customer, client, or business contact, and (e) where food and beverages are provided during or at an entertainment activity, the food and beverages are purchased separately from the entertainment or the cost is stated separately.  https://ncbarblog.com/wp-content/uploads/2018/06/Blog-Header-1-1030x530.png 0 0 TAX https://ncbarblog.com/wp-content/uploads/2018/06/Blog-Header-1-1030x530.png TAX2018-10-08 12:03:232018-10-08 12:03:23When Are Meal Expenses Nondeductible Entertainment? It was great seeing many of you over the Memorial Day weekend at the Tax Section Annual Workshop in Kiawah. I am pleased to say that we are making arrangements to be back at Kiawah next Memorial Day for the 2019 Tax Section Workshop. I wanted to give out a special thank you to Kevin May for his efforts in coordinating with the Georgia Tax Section and the South Carolina Tax Section to plan an excellent program this year. We also appreciate the generosity of our sponsors this year, Intuitive Compensation Group, Bessemer Trust, Monarch Private Capital, Forensic Strategic Solutions, LLC, Sterling Foundation Management and South Carolina Bar.